Fan bikes are a great way to get a tough workout. They can really get you exhausted fast. It’s for this reason they can be great for high-intensity interval training and conditioning. One of the reasons is the air resistance the other is that you are working your arms and legs at the same time. It’s a retro piece of equipment that has been reborn in recent years. 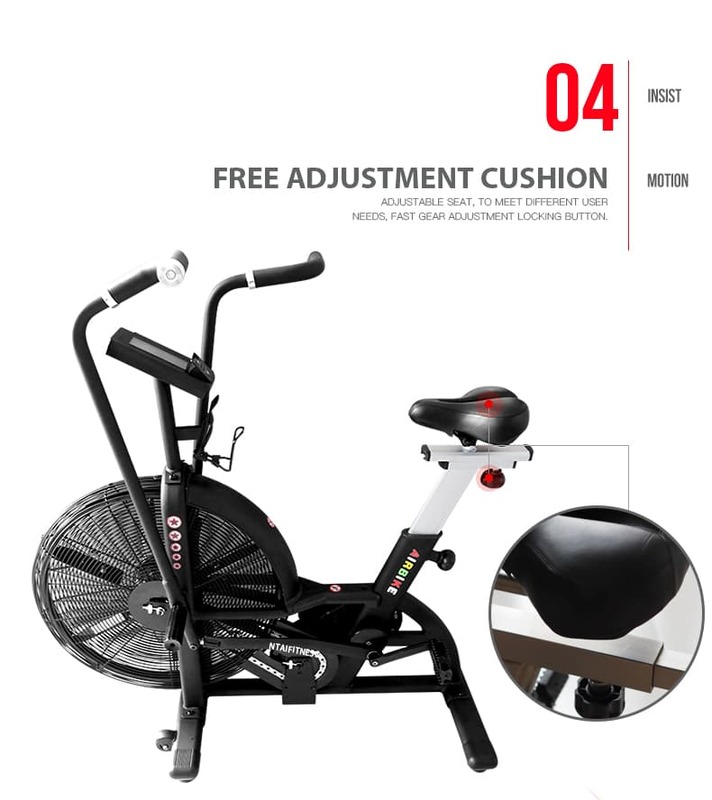 It’s like a standard stationary bike but instead, the wheel is replaced with an oversized fan adding resistance, and it really does. 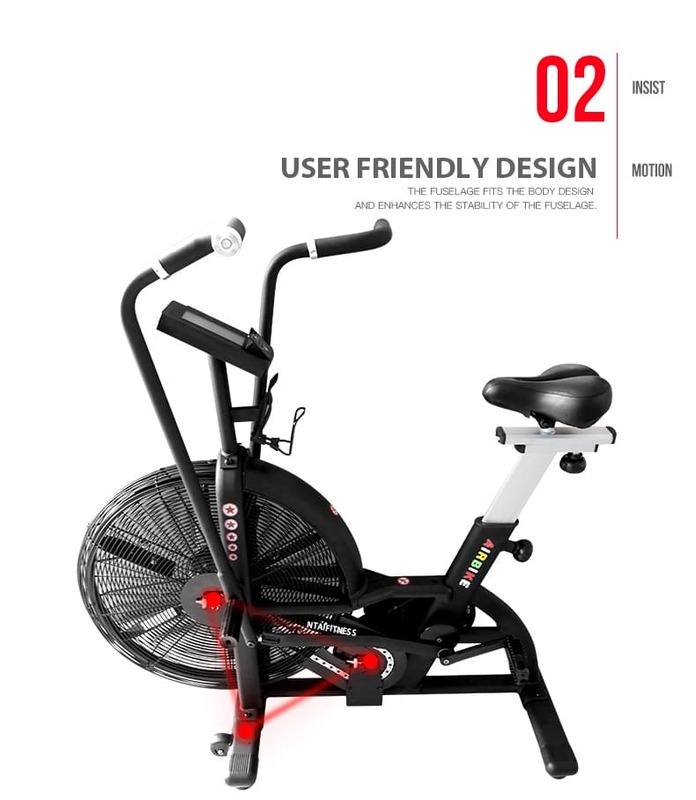 Pedaling your legs whilst pushing with your arms spins the bike's fan. Then you see the quirk of Galilean aerodynamics that makes the airbike so revered – the harder you pedal, the harder it gets. Cardio machines usually focus on your lower half. 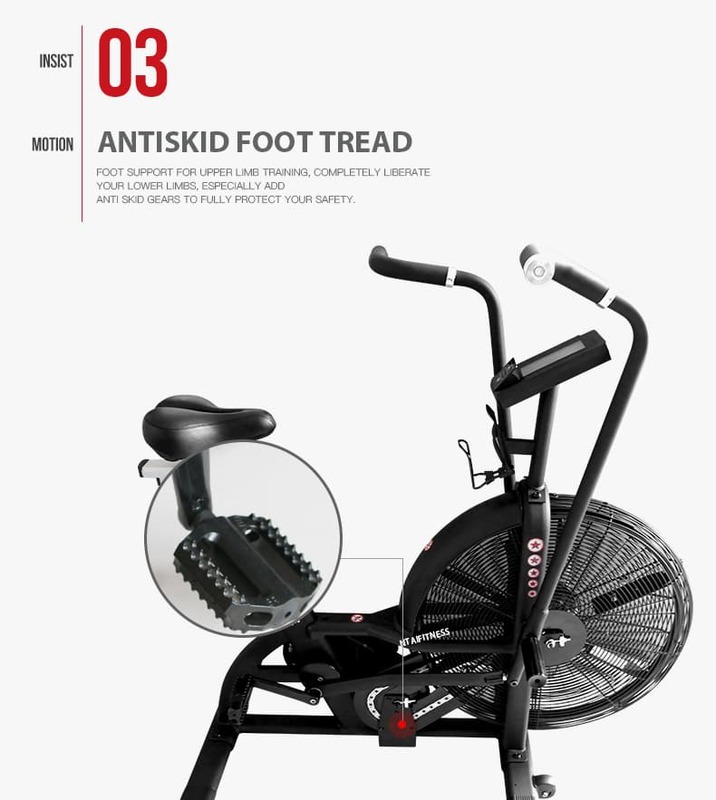 The air bike is akin to a suped-up cross trainer, working your upper body just as hard. No Froom vertical disparity here thanks. It pumps blood through your entire body, upping your metabolic rate so you burn through more calories than on a regular spin bike. 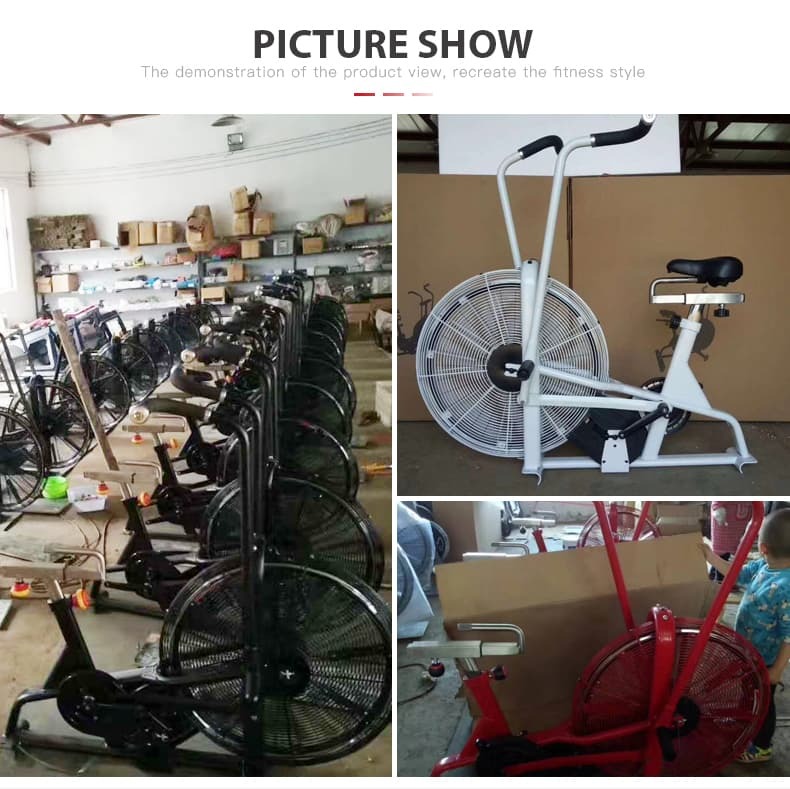 The Ntaifitness Air Exercise Bikes Superfit-8013 Fan Bikes workout meets this challenge by ramping up resistance automatically as you push, pull and pedal with greater speed and force. 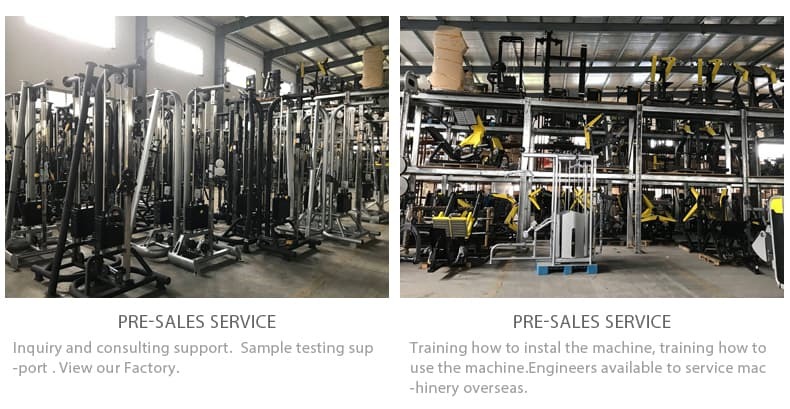 In fact, the Ntaifitness Superfit-8013 can provide a virtually unlimited workout. 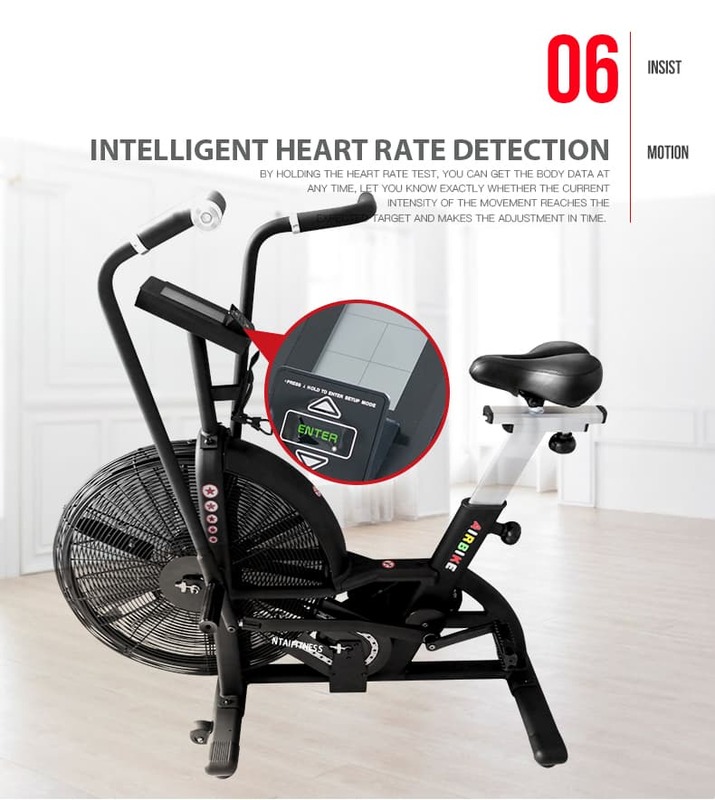 The Ntaifitness AirBike Superfit-8013 takes interval training to the next level, with a smooth ride, ergonomic design, and enhanced console capabilities that deliver an intense and refined workout experience. Individualized and infinite adjustments allow exercisers to keep it mellow and level to target a heart rate or jump too high-intensity interval training for a serious workout. 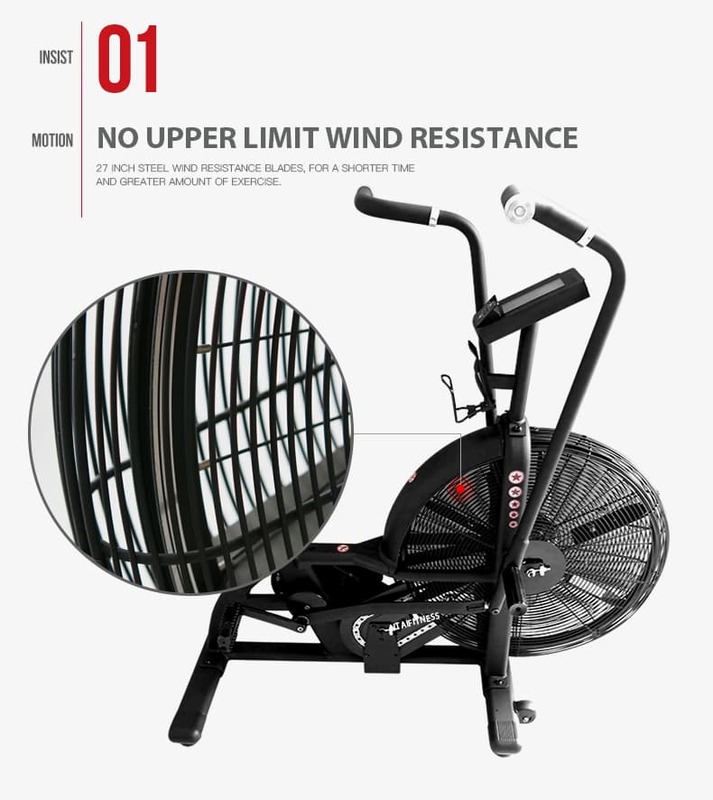 As with all Ntaifitness products, the Ntaifitness Superfit-8013 AirBike classic is forged from the highest quality, most durable materials. 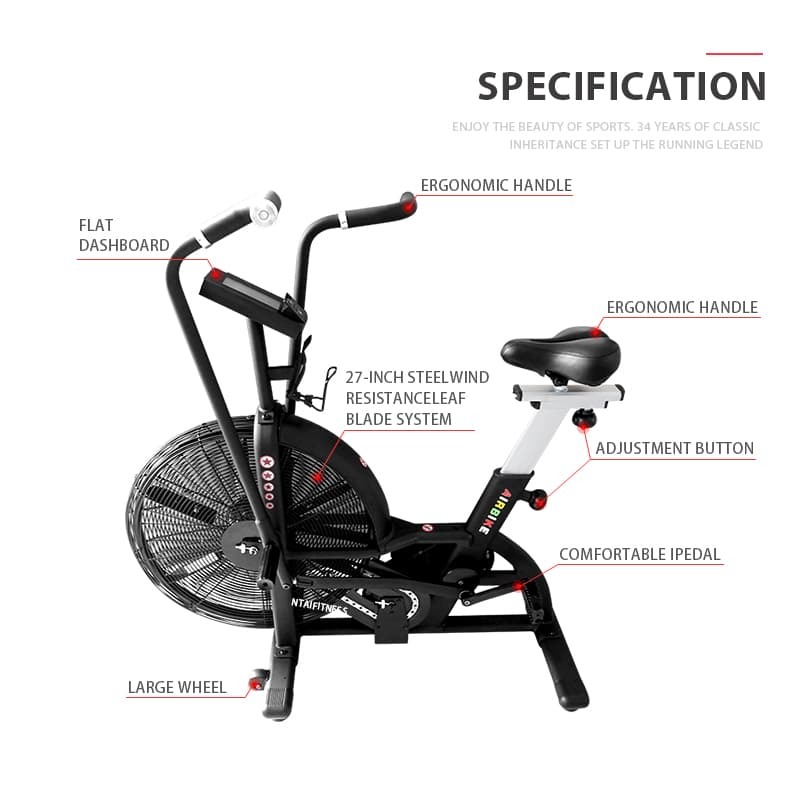 This bike has been designed to give you the closest to a gym or box experience as you can have from home. With a massive steel frame, solid steel cranks, corrosion resistance, and a solid aluminum seat post and slider, there is no question that this bike will go on for years. The Ntaifitness Superfit-8013 AirBike has been outfitted with an exceptionally comfortable large seat to offer support on a lengthier ride. With a custom seat that is anatomically designed and sweat proof, over-built forged cranks that increase strength and durability, the Ntaifitness Superfit-8013 AirBike is built to last. Classic time, distance, and calorie goal programs are available, Monitoring your heart rate is straightforward, and you can quickly connect your device for data tracking. Choose from high-intensity intervals, or set a target distance or watts goal. Integrated messaging inspires the exerciser and keeps the workout fresh and motivating. The fan-based action involves no contact between the moving parts. Moreover, it even eliminates the flywheel. No noise results from its use. You can thus use such bikes even at home. 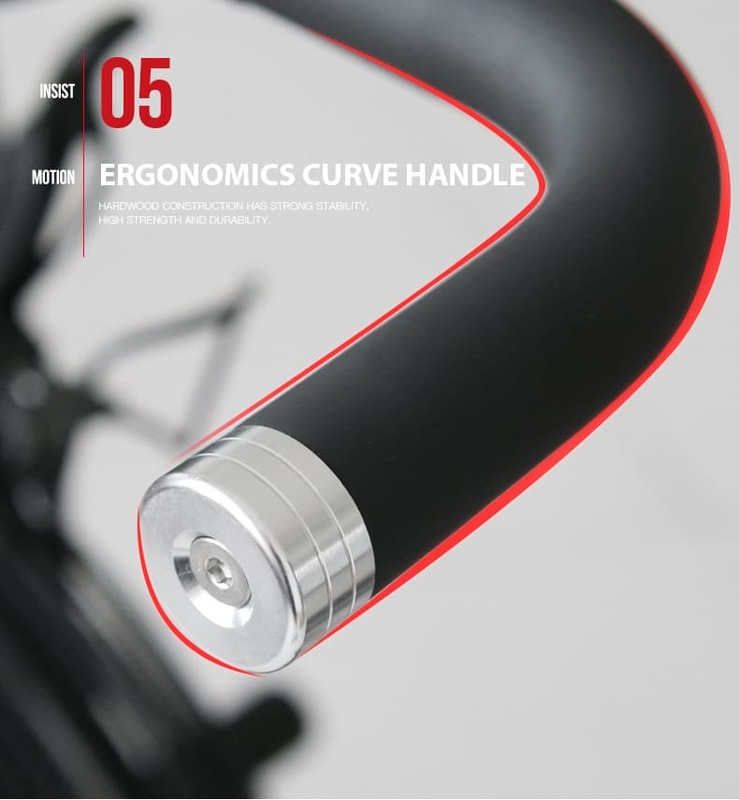 The absence of moving components minimizes the maintenance needed in the fan resistance bikes. Only molecular alignment of the fan’s blades is necessary. Also, you might need to tighten the screws after many years of use. 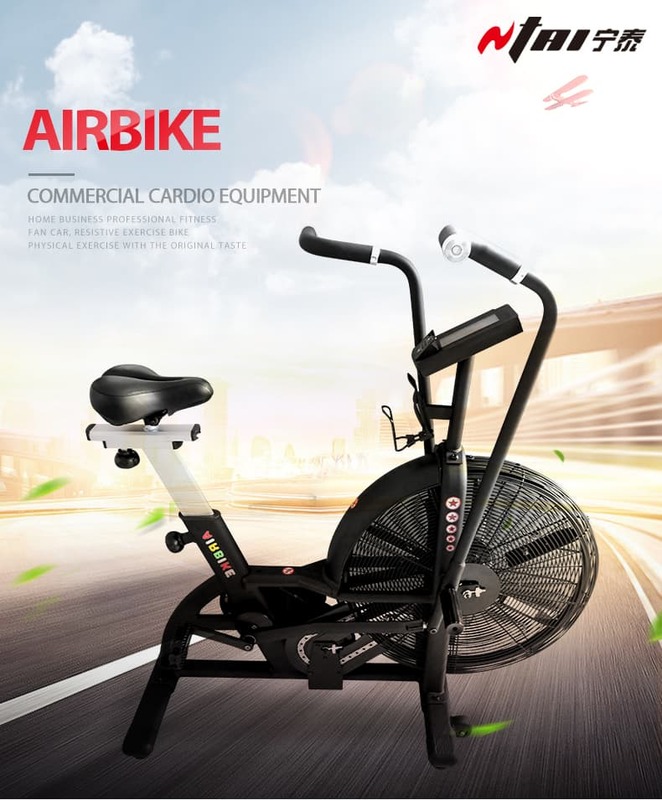 if you're just looking for a bike for conditioning, intervals, HIIT, sprints, warming up, recovery, etc., then the Ntaifitness Superfit-8013 AirBike is genuinely the superior option.